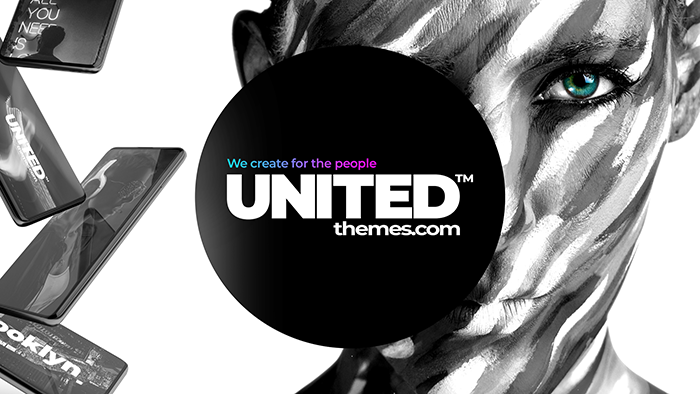 Latest news of UNITED THEMES™ NOT FOR THEME SUPPORT! Announcement	How to renew support! Announcement	Wir suchen einen/eine Marketingspezialist und Grafiker. Brooklyn 4.9.1.1 is out now! Brooklyn 4.9 is out now! Brooklyn 4.9.1 is out now! Brooklyn Version 4.7.3 is out now! Brooklyn 4.7 is out now! Brooklyn 4.6.9 is out NOW! Brooklyn #40 is out now! Brooklyn #39 is out now! Say hello to Jack & Olivia! Brooklyn 4.6.6 is out now! Brooklyn 4.6.5 is out now! Say hello to Mrs Yoga!